Chocri - Customise your chocolate! 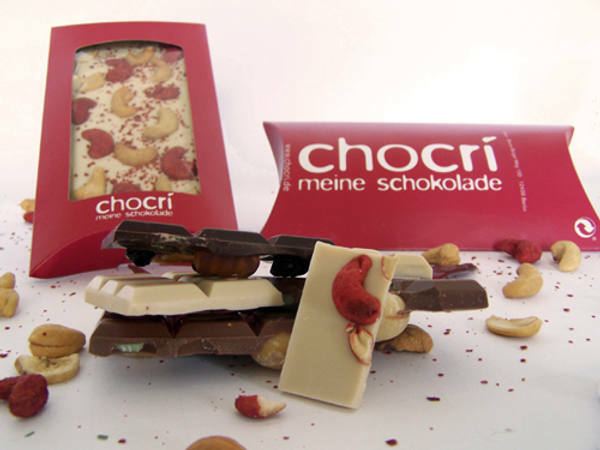 Chocri – Customise your chocolate! Got a kid obsessed with gummi bears, banana chips or raspberries? I’m betting most parents have children who love chocolate and now you can customise a bar to suit almost anybody! 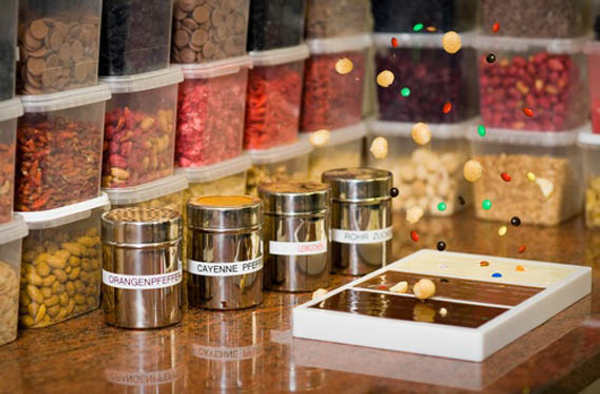 Chocri allows you to choose the type of chocolate along with a variety of exotic toppings which are dropped onto the top of the bar before the chocolate has set. Your personalised chocolate arrives in a gorgeous package ready for its recipient to gobble up. If you’re giving Chocri for a special occasion such as a birthday, make sure to take photos because this is one present you don’t expect longevity from! Chocri use only organic fair-trade chocolate products and donate one per cent of takings to the DIV-Kinder fund – you can read more about this cause on the Chocri site. Buy five bars and you get one free, so there’s ample opportunity to sneak one for yourself. I’ll be having the Candied Lilac topping with coffee beans for my caffeine hit! Price per bar depends on the toppings you choose but you can expect to pay around US$9 to US$11 plus shipping for chocolate with about four different toppings. Chocri would make awesome birthday gifts for everyone in the family, so get stuck in and start designing!